Quercus macrocarpa, the bur oak, is supposed to have the largest fruit (macro carpa) of all North American oaks. 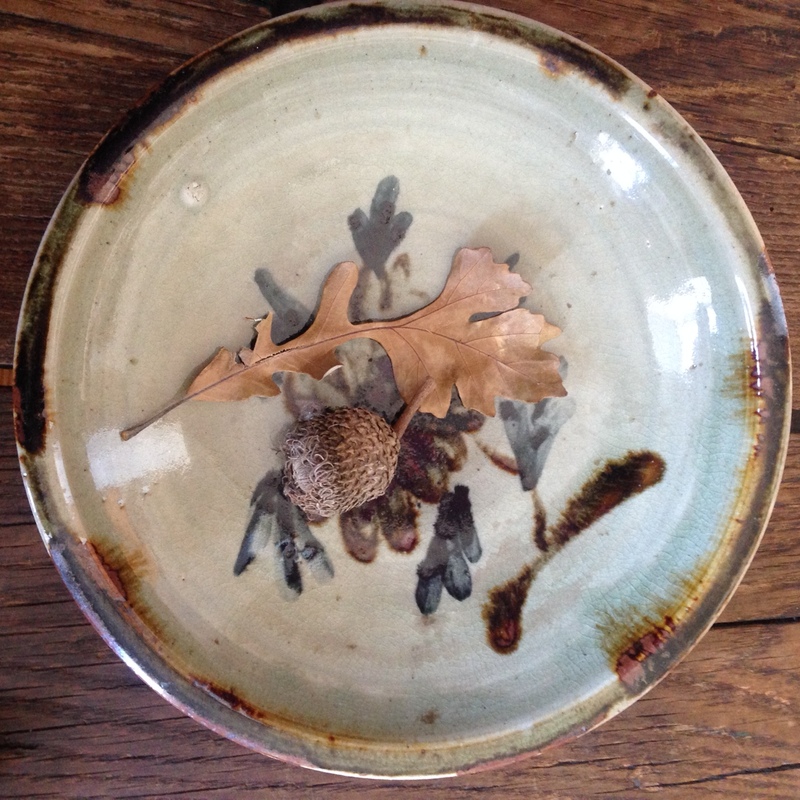 This acorn is in a 1.5″ long mossy cup. One of the species’ distinctive, pinched-waisted leaves on the plate, too. The plate was purchased by my parents in my natal Japan. 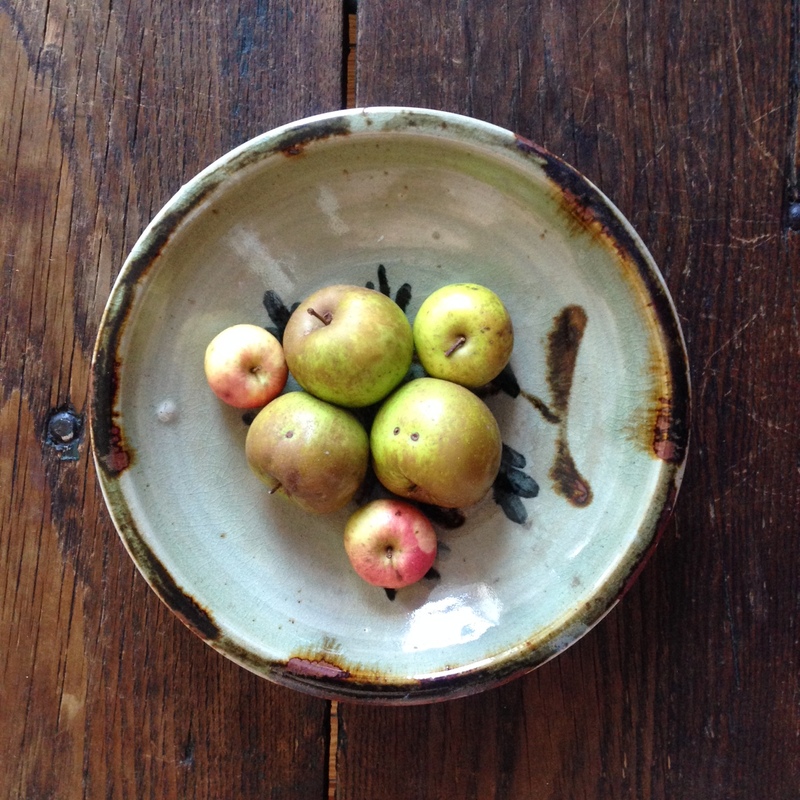 How about these apples, from friends in the Catskills? We ate them cooked up with onions and butter.